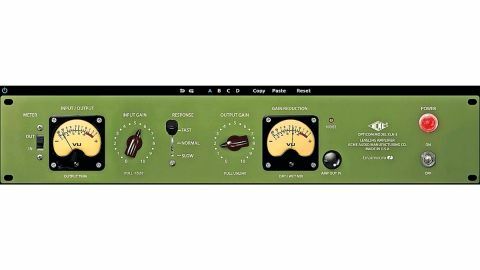 Every DAW set-up needs at least one compressor that inhabits this world, and this is one of the best we have ever tried. The XLA-3 has optical circuitry with three compression responses that treat sounds in totally different ways, each of them highly usable. Add to that the ability to push the input into focused harmonic colouring and beyond into powerful sounding distortion, and you have a compressor/limiter capable of everything from subtle warming of a signal to full-on cranked mayhem. The emulation sounds fantastic, adding colour and texture. You can unlink it in stereo, plus there is a mix control. Like the original you can also use it just as an amp without the compression circuit.